Rhoslyn’s Jones maintains a thriving private voice studio in San Francisco. She instills classical technique through operatic, art song, and musical theater repertoire. Ms. Jones values a healthy, well produced tone that is even throughout its range. She helps to acquaint students with the function and importance of using their entire bodies as their instruments. In addition to imparting unparalleled technical instruction, Ms. Jones mentors young singers as individuals, using her wealth of professional performing experience on the world’s great stages and high level of empathy and intuition to support singers in their growth as artists. Ms. Jones’ students are regularly accepted into top conservatories and universities in North America and are frequent winners of prestigious competitions under her expert guidance. To inquire about lessons, contact Rhoslyn Jones here. 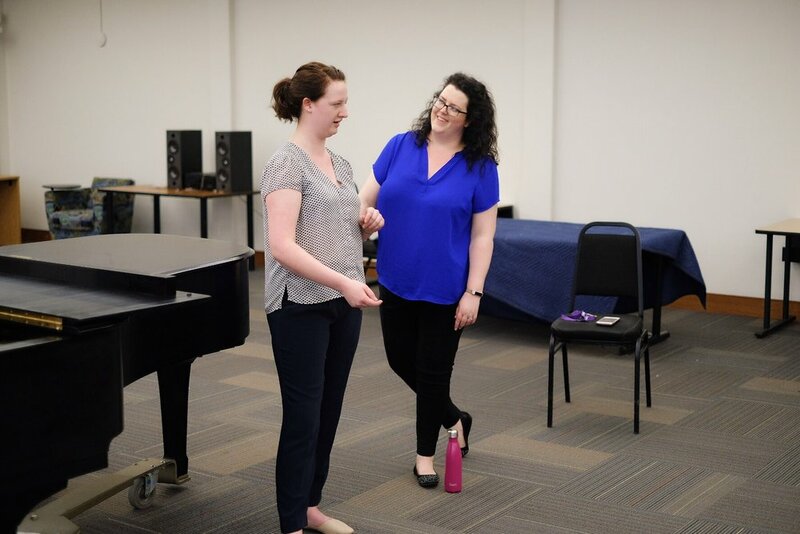 Since 2013 Ms. Jones has been the Director of The UBC Summer Vocal Workshop: a haven where young musicians can spend part of the summer on the beautiful UBC campus focusing on intensely and creatively furthering their talent. Under the leadership of Ms. Jones the Workshop has become one of the largest Summer programs in the country.